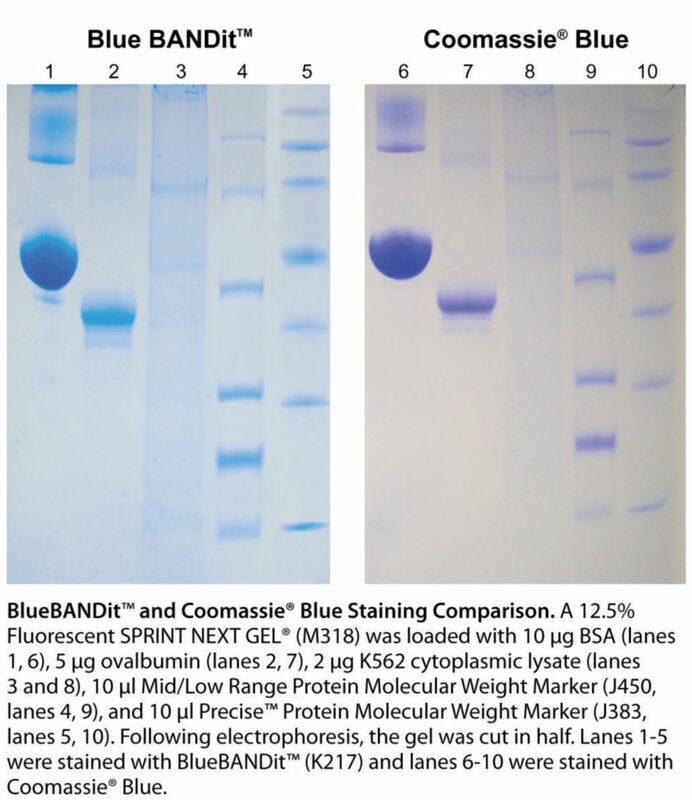 to traditional Coomassie® Blue staining procedures. This ready-to-use stain utilizes deionized water for destaining, thereby reducing the handling of hazardous materials and solvent waste in the lab. The easy protocol requires a pre-wash in water for 15 minutes, 1 hour of staining in Blue BANDit™, and a final water wash for 30 minutes. 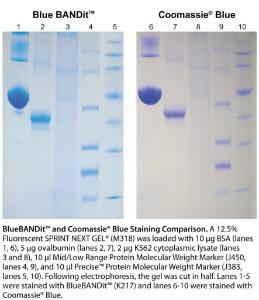 As the bands appear on the gel, the background remains clear, providing excellent visibility of proteins.